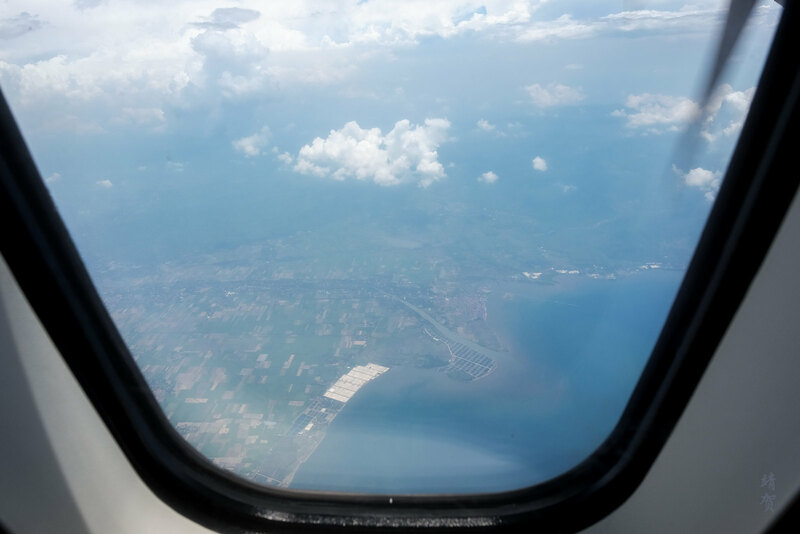 This flight is a connecting flight I took from Jakarta to get to Banyuwangi, and the first part was not reported as it was a routine flight between Jakarta and Surabaya that was nothing out of the ordinary onboard a 737-800. 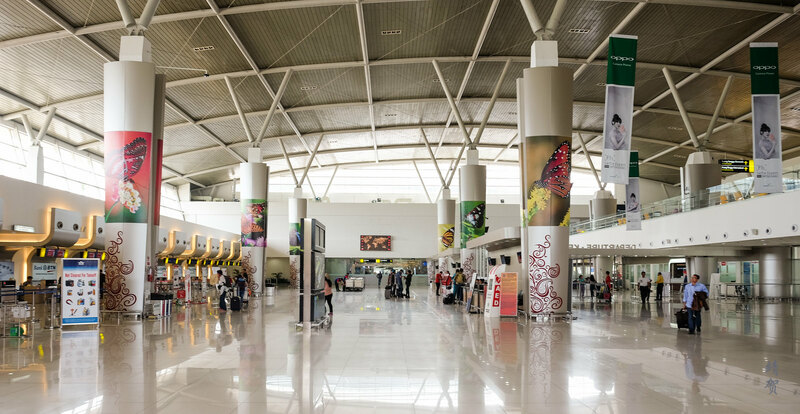 Garuda Indonesia utilizes the new Terminal 2 at Surabaya Juanda, even for domestic flights as this is also the International Terminal. The new terminal is definitely a welcome change as it feels brighter inside with shops and fast food joints even before the check-in area. 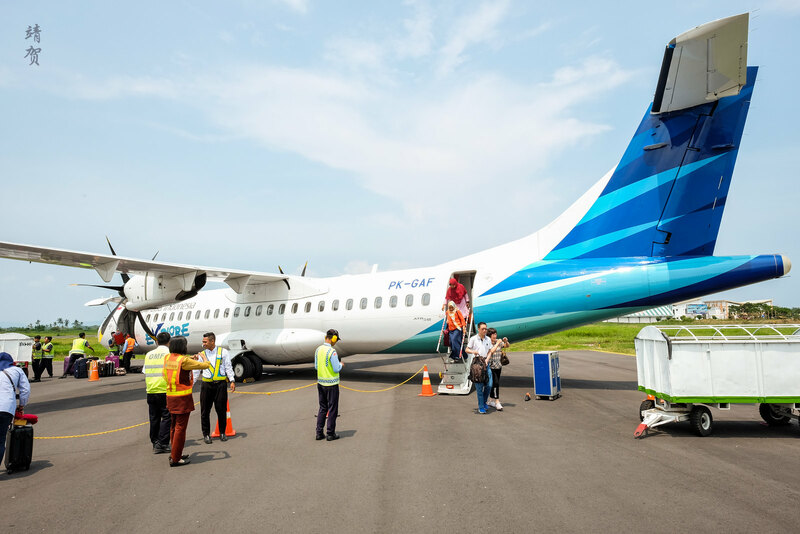 Transiting through from International to Domestic is also easy and convenient if flying on Garuda on the domestic segment. With the Sky Priority lane, I got my boarding pass quickly and the next thing was to head one level up for security check. 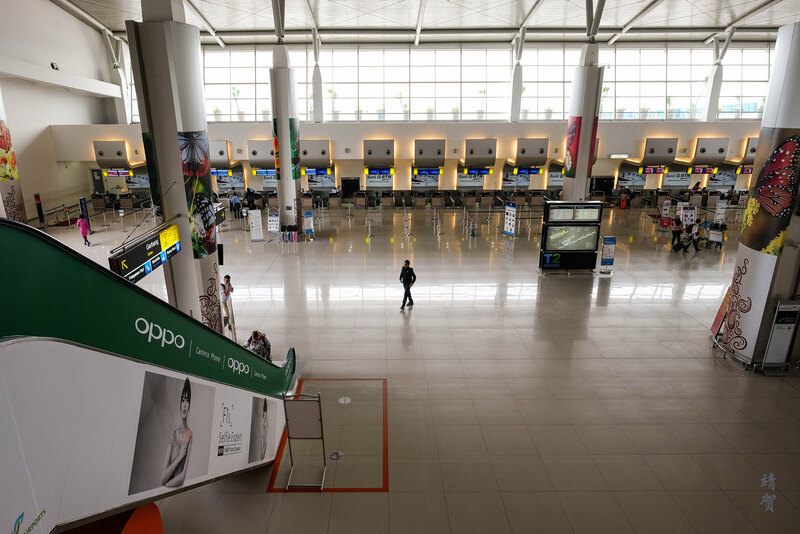 For a major hub in Indonesia, the security queue was non-existent and then it was into the departure hall. 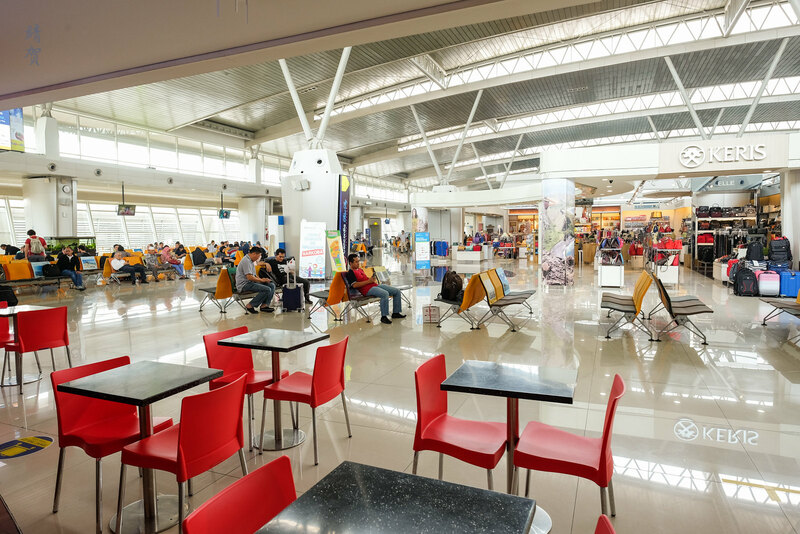 The departure hall has a couple of boarding gates since it caters to Garuda Indonesia domestic flights only. There is a Starbucks and Burger King inside along with a handful of souvenir stores. 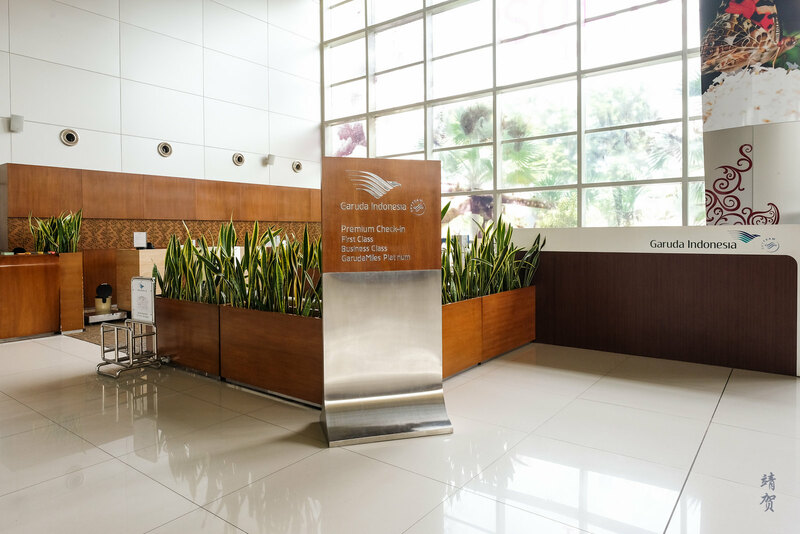 Garuda Indonesia also has a lounge airside beside the Starbucks but there is no entry for Sky Team Elite members since I was not connecting to an International flight. When boarding was called, it was a leisurely walk out of the gate and down the stairs. There was no bus or anything since the plane is just a few steps aways from the stairs. 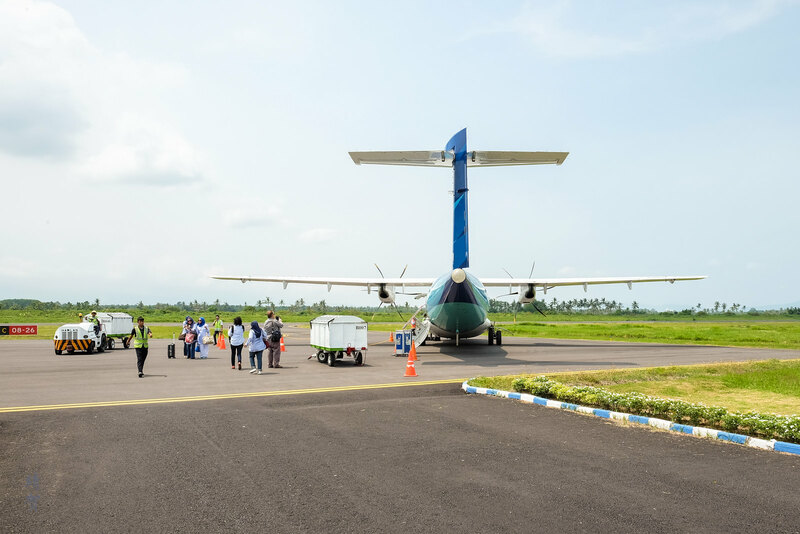 Unlike other regional jets or turboprops I have taken, boarding the ATR is via the rear staircase with the luggage hold located in the front of the aircraft. 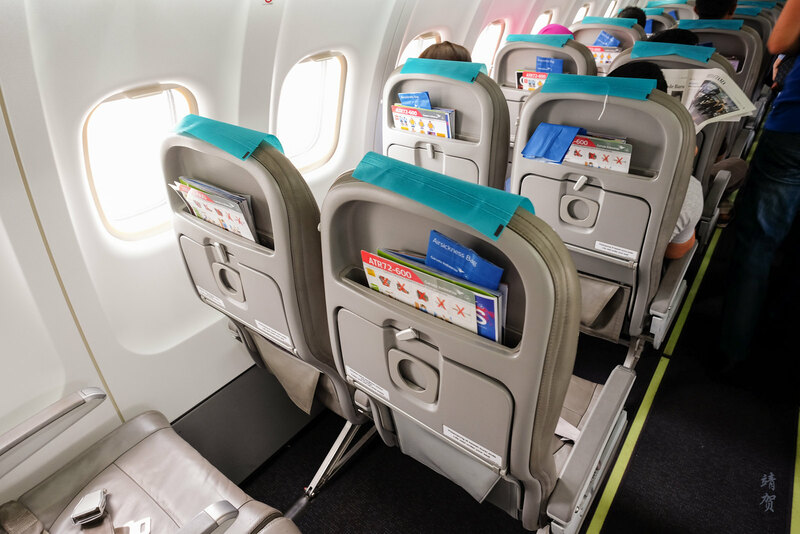 Inside there is an all-economy class seating with 2-2 seats abreast. 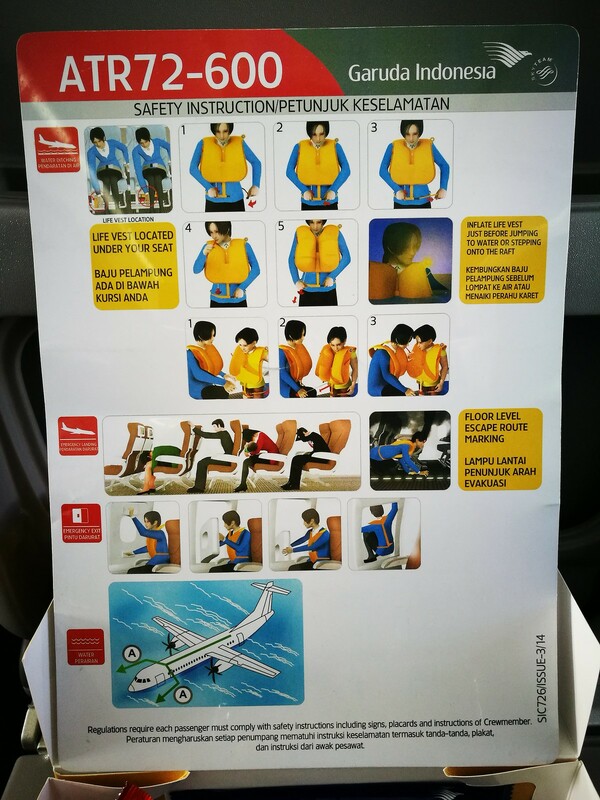 Emergency exits are located at the front and rear of the aircraft and the bulkhead seats seems to be the best seats in the whole plane, and seems to be reserved for Garuda Indonesia Platinum members and passengers travelling on Business Class tickets for any connecting flights. 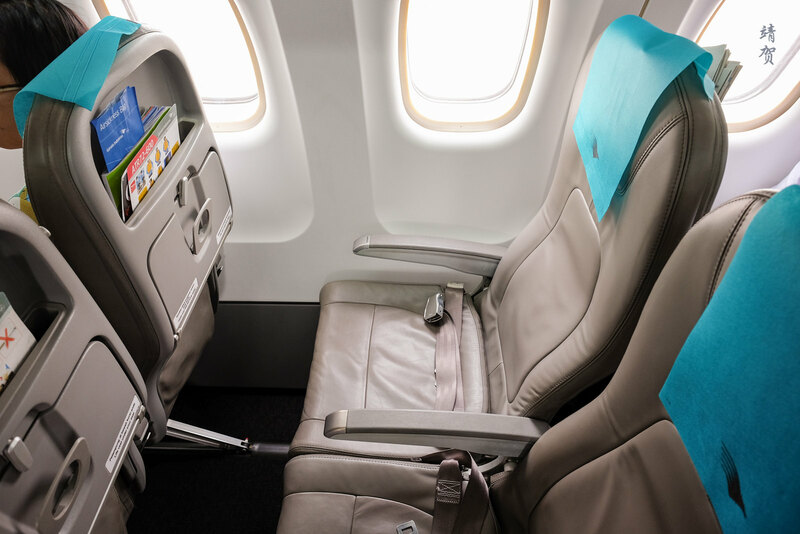 The seats onboard are slim-line style, upholstered in grey leather which indicates the relatively new cabin. Aside from the tray on the seat, there was also a separate cupholder that could be folded out separately. 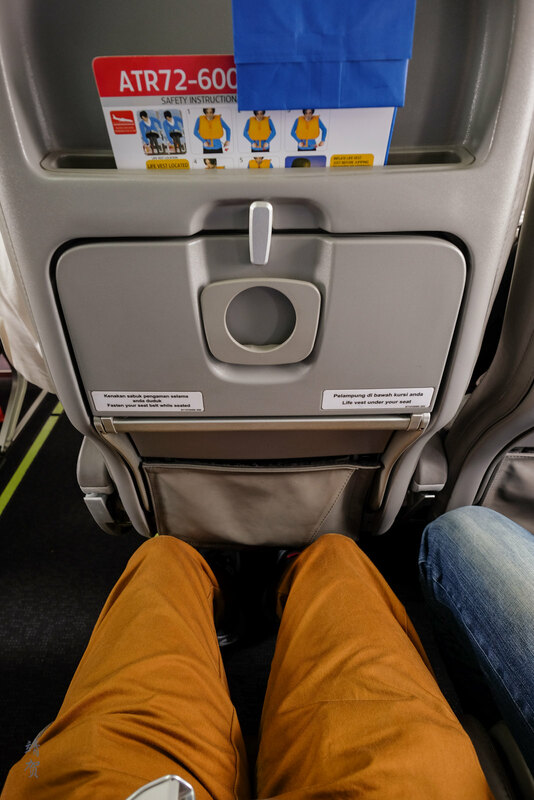 Legroom was somewhat tight as expected for a small turboprop plane. 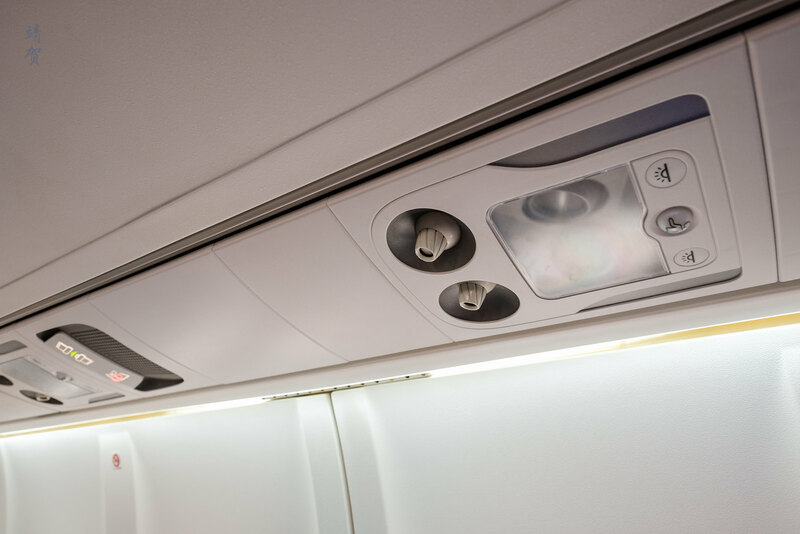 The low head clearance of the plane meant that the attendant call button is located overhead between the switches for the lights. 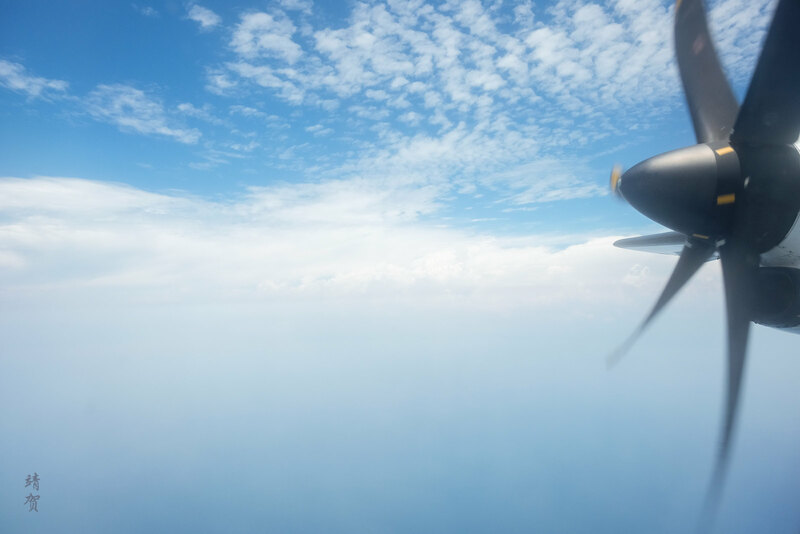 Individual air nozzles on this plane would come in handy within tropical Indonesia where the weather is hot all year around. Just as boarding was about done, it started raining. 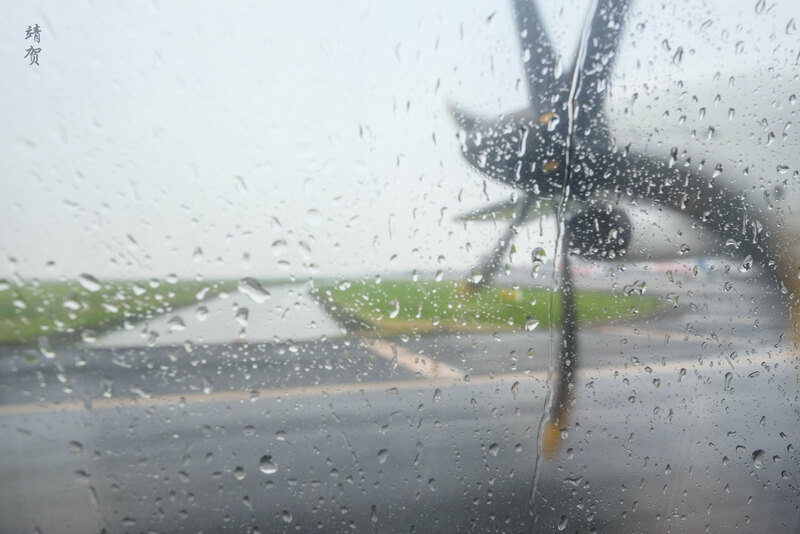 The timing of the rain could have inconvenienced passengers as there was no shelter between the stairs and the plane. Once boarding was completed, the set of 2 crews performed a safety demonstration of using the life vest and ensured the clearing of loose items from the cabin. Take-off was slow but steady with no queueing for the runway. Either it was low season for travel or there just was not that much traffic in the late morning. 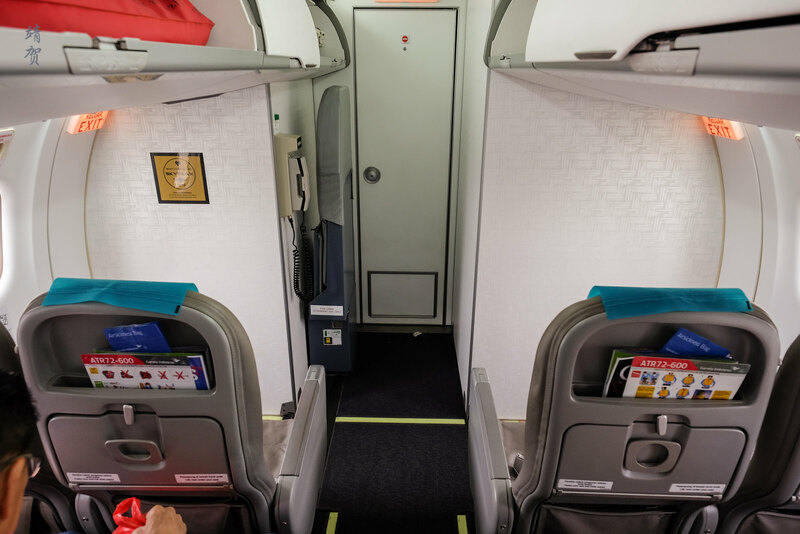 The plane has one lavatory at the end just beside the sole galley. 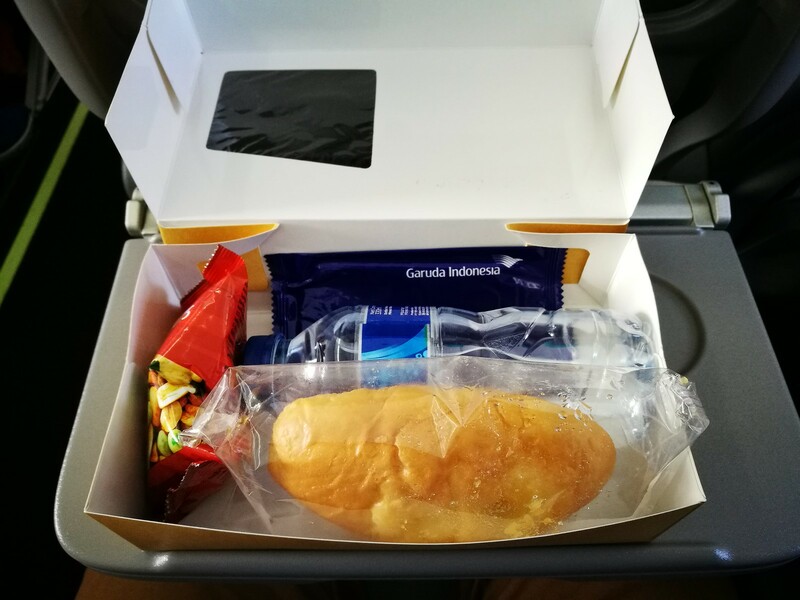 For this short flight, the crew went around to distribute a snack box to all passengers. Service began from both ends of the flight which meant it was quick. 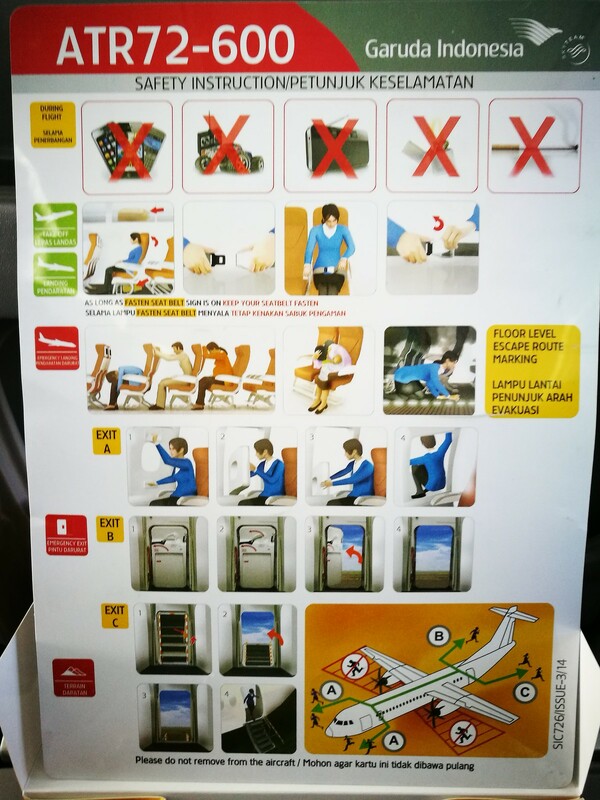 This is a service consistent with other short-haul Garuda Indonesia flights around one hour in duration or less. 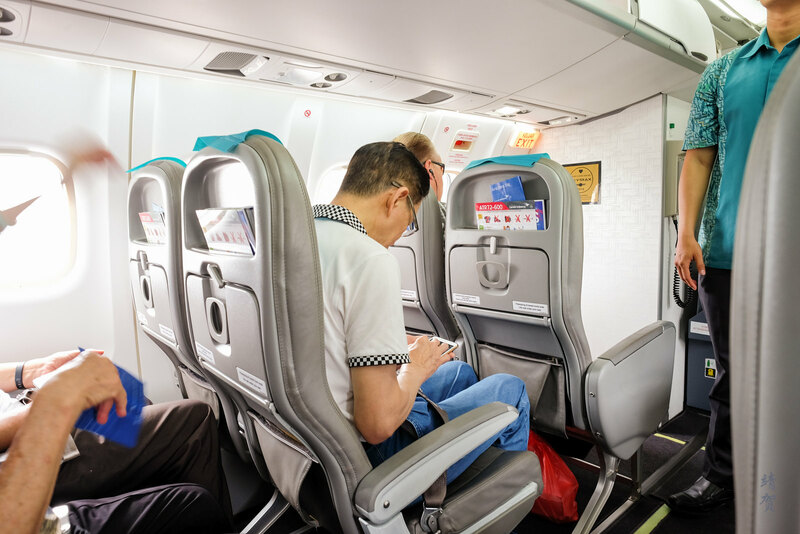 Inside, passengers can find a packaged bread, a mixed nuts snack, a refreshing towel and a small bottle of water. It was more than adequate for the short flight and there was no other beverage available. 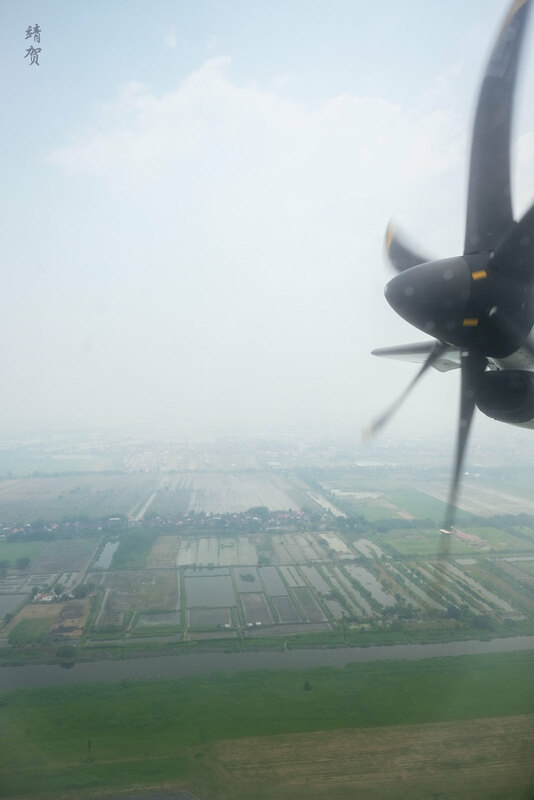 The southeasterly direction continued until the place made its descent into Banyuwangi. 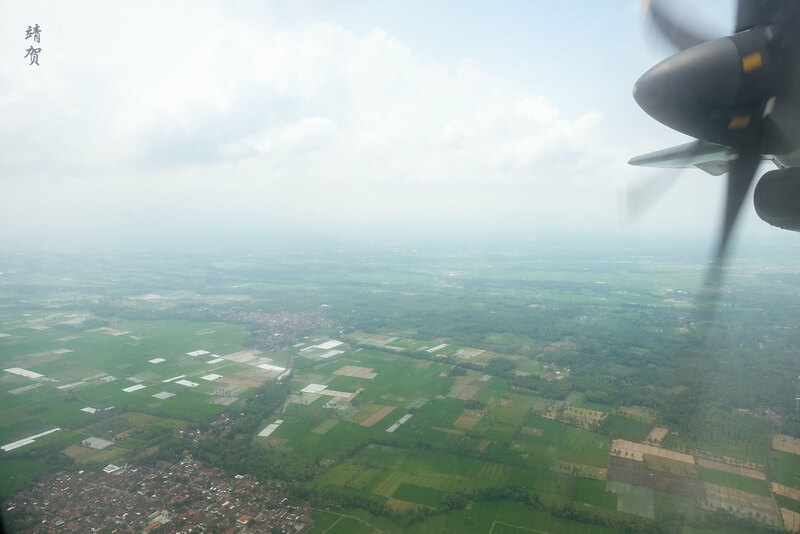 Under clear weather, guests could probably see the island of Bali and the Ijen volcano crater since the ATR 72 flies at a lower altitude. 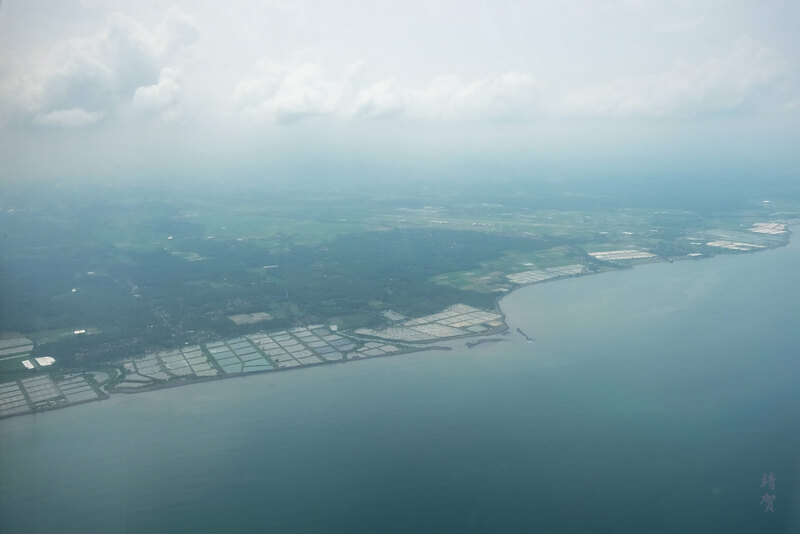 However the view we had was mainly of the shrimp farms along the coast of Banyuwangi and the rice fields in the fertile valley of east Java. 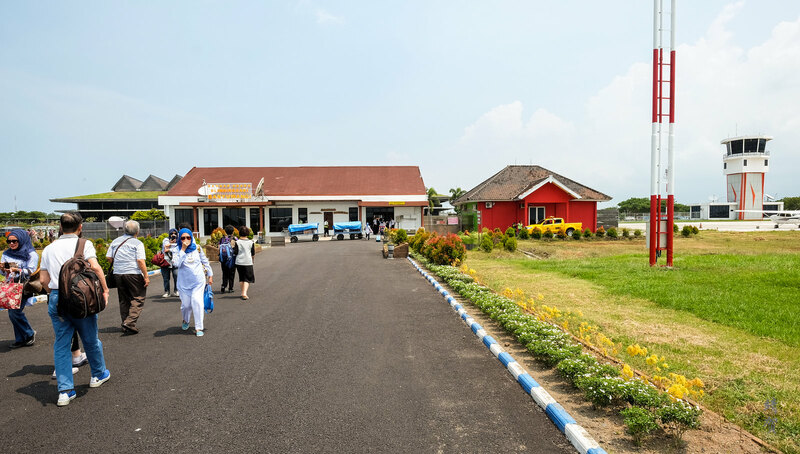 Arrival into Banyuwangi Airport in Blimbingsari felt like arriving in a tropical island resort since there is a small building that is considered a terminal until the airport completes its upgrading works. Disembarking passengers walk towards the single building to await their luggage or use the toilets and that was about it. 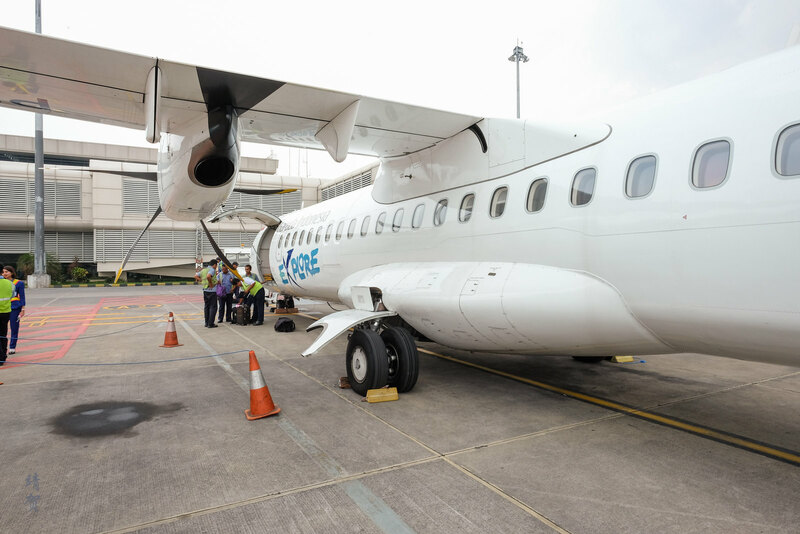 Getting to fly in Garuda Indonesia’s smallest jet was a treat and this is part of Garuda’s effort to spearhead its strategy of linking Indonesia’s many islands and small towns that would otherwise take a long time via land transport. This means that visitors looking to explore new island destinations and find remote beach and nature vacation spots would have much more choices! 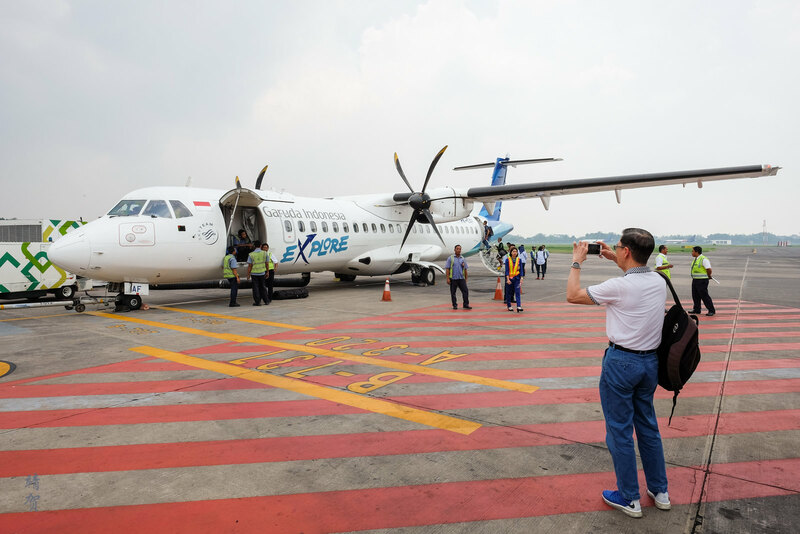 And judging from the majority of passengers on this flight which were taking photos, they seems to be tourists visiting Banyuwangi for the first time!